B&M offers two types of SFI 29.1 spec flexplates. 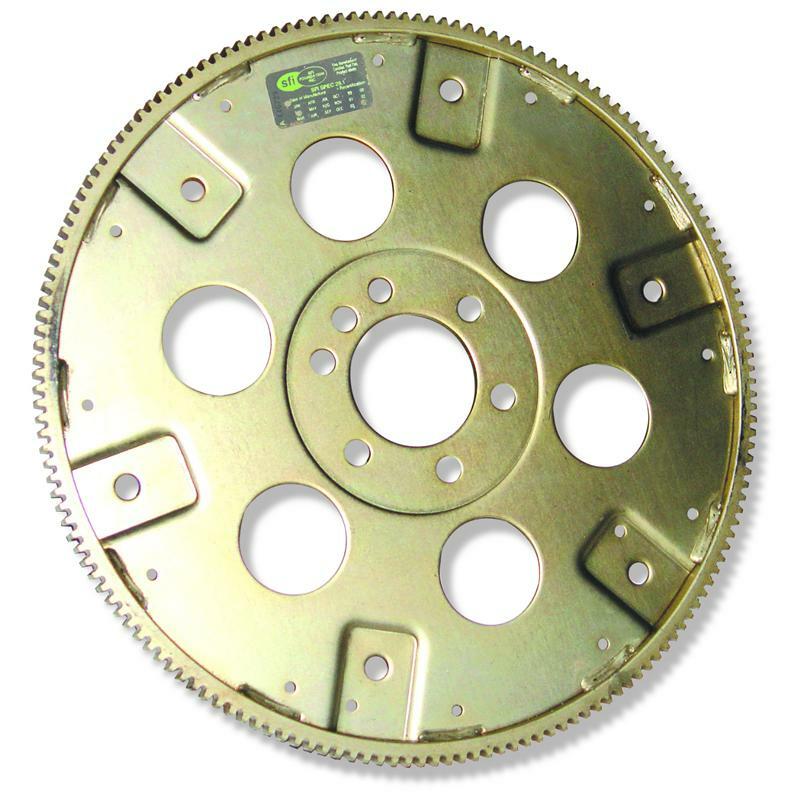 The standard SFI flexplates available for Chevrolet, Chrysler and some Ford applications are ideal for street and racing applications. SFI spec 29.1 approved, NHRA & IHRA legal for all classes (Chevrolet & Chrysler). SFI certification sticker included (re certification required every 3 yrs). Ideal for street applications to extreme duty racing and high (above 6,000) RPM use.